Hi, my car (1028) has a number of mods over the years as a race car which I'm trying to rectify / put back. 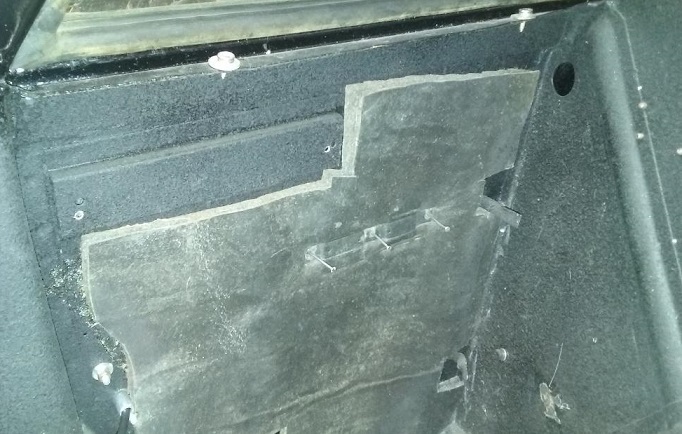 Could someone with an original car please post some pictures of the fuse box / area directly behind driver (LHD) and also side pictures of the engine bay area so I can see where mine differs? a) where should the fuses be located and the relays? 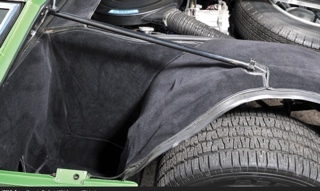 b) if they are located in the storage behind driver (LHD) are they beneath the carpet or above? 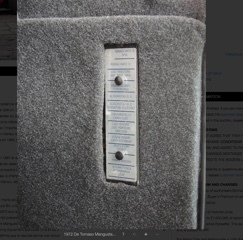 Or is there a panel denoting the fuses in Italian above carpet and actual fuses below? Hopefully the pictures show my dilemma!! I will take some pictures of mine tomorrow! I am new to Panteras so can't say about others. My ( 9193 ) fuses are located on the R/H side just forward of the door. 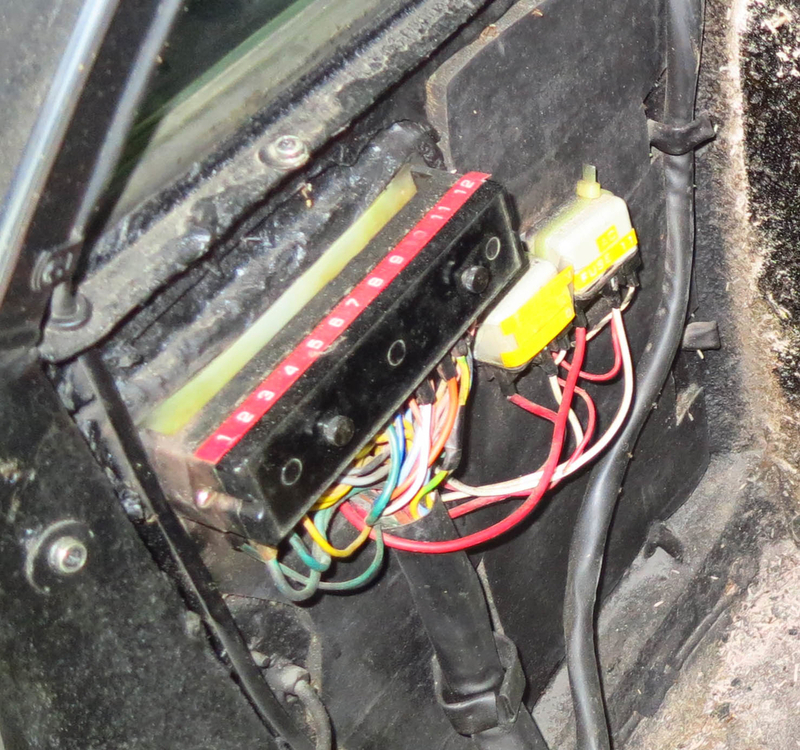 On 3518 (pre-L) the fuses are behind a panel on the right side of the passenger's footwell. Relays are under the dash on the passenger's side. Punkdog, Robbie, This thread is about Mangusta not Pantera. 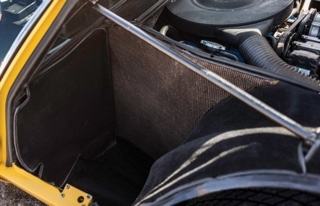 On the Mangusta the fuse panel is behind the firewall behind the driver's seat. Yes the cover is similar to period Maserati cover. Can you identify the cars in the left lane? I've been addressing electrical issues recently and thought these two pics may help. 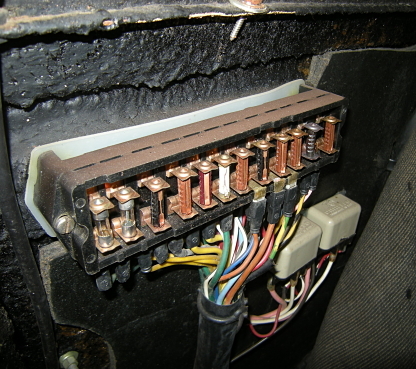 First is a rear view of a fuse block & relays "mock-up". The harness is from 1056 and from close comparison I know relays on 1010 were wired identically. Presumably your car would be the same. 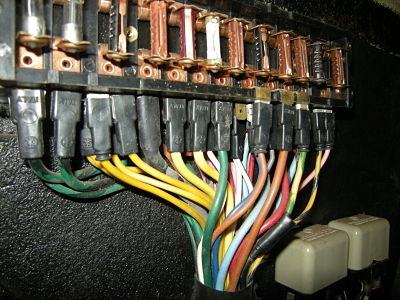 Note the block is from a Pantera so the connections don't exactly match an OEM Mangusta block (that's why the red and pink feed wires that go to Fuses 6 & 9 - counting right to left - are not actually connected to anything, just dangling near where they should connect). 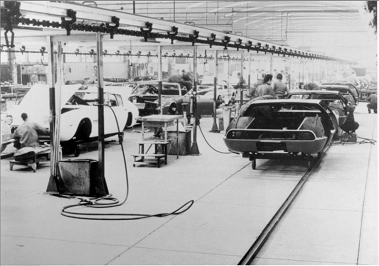 Not sure how early cars were set up but for c. 1970 cars - (as far as I can tell!) - these relays served to power loads on Fuses 10 & 11. 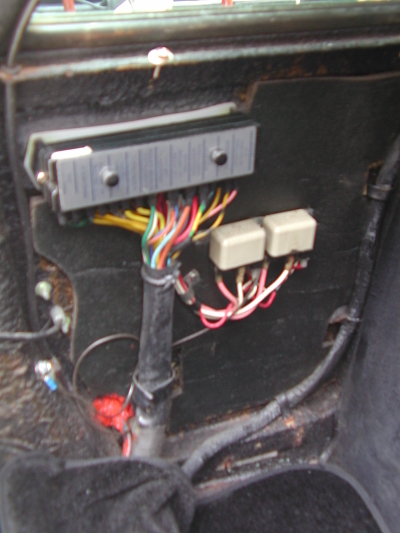 Additional relays for the lights and emergency flasher functions were under the dash beside the horn relay. Robbie, Sorry man I blew it. Good catch ! 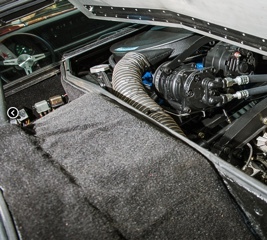 My fuses ahd two relays are located under the carpet on the rear firewall just below the bottom of the rear glass in the luggage compartment. 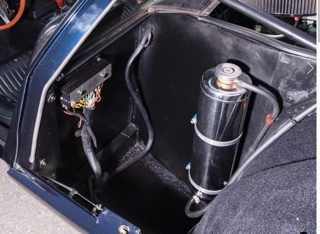 The fuse box is small, I think like one in the Ghibli. 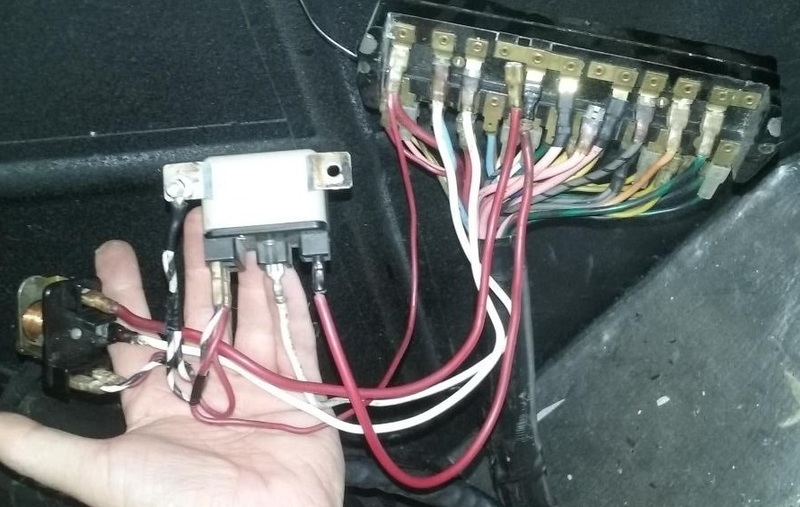 There are a couple of relays under the IP on the drivers side. 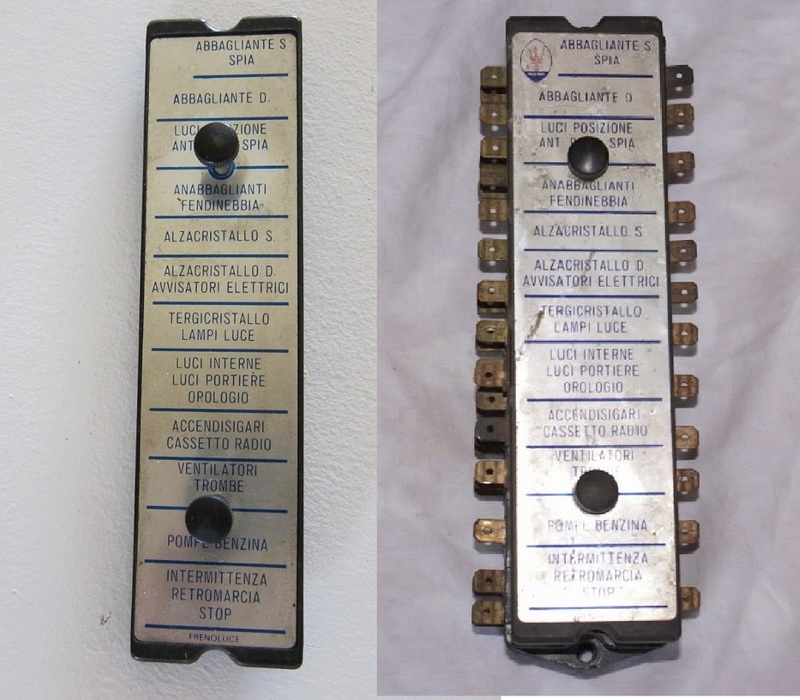 Fuses are labeled on the outside of the cover in Italian. The car in the left lane has been put into the picture as the person in front of it is way out of scale. It looks like a Mangusta except for the incorrect appearance of the pillae behind the door. Some kind of fake picture in my opinion. Thanks everyone for the input that's helped a lot, especially the photos. It seems from the fuse locations I have that the loom has been chopped up. All the 'new' fuses are blade type but none are in the place where they should be. Denis, btw, no, I never noticed the Maseratis in the background ! Same placements as on mine. I am also missing the cover plate but I will be making some up eventually. Lee, in your photo #1 above, note the pointed-end glass Busse fuses in the fuse holder. I've been telling people for years that Busse DID make them in many sizes for Euro fuse holders and they solve the corrosion problem that makes circuits quit. 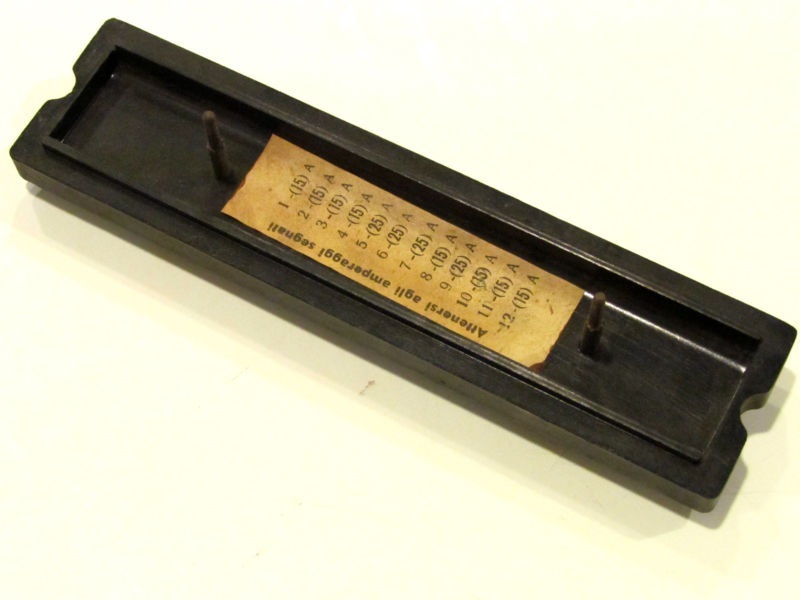 Sadly, they went away when Busse was sold, but occasionally E-Bay has a few.